My name is Master Tran. 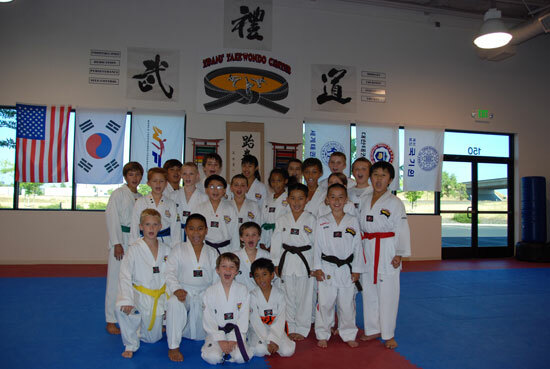 I began to learn Taekwondo when I was five years old. I am now a 5th degree black belt under the rules and regulations of the International Tae kwon do Federation (ITF) and a 6th degree black belt under the rules and regulations of the World Taekwondo Federation (WTF) which is the most reputable and recognized Taekwondo organization in the world. In the past 30 years, I have purchased all kinds of weighted vests, weighted pants and ankle weights for myself and my students from local sport stores to assist our Taekwondo speed and strength training but equipments could not survive long. Eventually, the iron bars or rods speared through the vests, the pants and the ankle weights because Taekwondo sport requires a lot of footworks, jumpings and kickings tremendously during the training session. Ironwear Fitness products are unlike the products from other companies, Ironwear equipment is well thought out and the designs are great. The Speed Vests, Speed Pants and Ankle Iron ankle weights are SUPERIOR to what I had previously. They fit on the body tightly and snugly. There are no more iron bars or rods hitting each other when I practice. Especially when I move, jump or kick, I don’t even notice that I have the Speed Vest and Speed Pants on me. The beauty is I am not worried the iron bars or rods may spear through the vest or the pants and could cause accident to people surrounding the training area. I highly recommend Ironwear Fitness products to everyone whether they are an amateur or a professional athlete. I am truly impressed and pleased with these products. So, please try Ironwear products for yourself and share the great experience with me. I would like to thank Mr. Arnold Cook for designing these products.